Back in 1912 a Polish bio-scientist named Casimir Funk was examining deficiency diseases and why certain animals failed to thrive. After reading that eating brown rice may reduce the chance of suffering a nutritional deficiency disease, he examined rice in an attempt to isolate the substance which prevented such disorders. He succeeded in isolating a “factor” in the rice, which he described as amine (like an amino acid). As he deemed the said factor “vital to life” he coined the term vitamin e – which later was modified to vitamin! Between 1910 and 1920, starting with the work of American chemist Cornelia Kennedy, these vitamins were enumerated with a letter in order to designate differences between them. The first five vitamins discovered were labelled A, B, C, D and finally (the subject of this article)- Vitamin E.
Vitamin E is a naturally occurring substance which is a collective group of fat-soluble compounds. It is also the most potent, fat soluble anti-oxidant which floats around in human plasma. This group actually consists of 8 chemically different forms which have differing degree of activity on a biological level. These are phenols (carbolic acids) which are methylated (derived from methane); and are called tocopherols and tocotrienols. Four tocopherols and four tocotrienols are each labelled alpha-, beta-, gamma- and delta-, to make up the Vitamin E family. Thankfully for us alpha (ά) tocopherol (or formally 2,5,7,8-tetramethyl-2R- (40R,80R,12 trimethyltridecyl)-6-chromanol) is the only one which is considered to meet human requirements (1). This is largely due to the fact that the liver uses a specific protein (ά-tocopherol transfer protein) to re-secrete this form, whilst metabolising and excreting the others (2). Supplement labels may display the name D-a-tocopherol or RRR-a-tocopherol, which practically are the same thing. Vitamin E can be consumed through both dietary means and supplementation. The best food sources of vitamin E (ά-tocopherol) are nuts, seeds and oils. For example, wheat germ oil has 20.3mg of ά-tocopherol per tablespoon. Alternately, you could get 7.4mg in one ounce of dry roasted sunflower seeds; 6.8mg per ounce of almonds; or 1.45mg per tablespoon of peanut butter. Leafy, green vegetables; other whole grains and nuts; and fortified cereals are also sources of ά-tocopherol. Western diets consume the majority of their vitamin E in the form of gamma (γ) tocopherol from soybean, corn and predominantly polyunsaturated vegetable oils (3). Estimations of vitamin E consumption from food are often calculated in terms of “ά-tocopherol equivalents” (ά-TEs). This is where γ-tocopherol content can be used as a substitute for ά-tocopherol with an efficiency of 10% (e.g. 10 γ-tocopherol molecules equals 1 ά-TE). The issue with calculating vitamin E consumption via this method is flawed however, as γ-tocopherol is not equivalent functionally; does not convert to ά-tocopherol; and essentially is too easily depleted from our body. If you only followed ά-TEs, then the amount of vitamin E you calculate consumed would be over estimated. Supplements often are sold as esters, which are chemical compounds which protect ά-tocopherol from oxidation and prolong shelf life. If your supplement is labelled D- ά-tocopherol or dl- ά-tocopherol, then these would be forms of natural or synthetic ά-tocopherol, respectively. The synthetic forms (dl-) contain equal amounts of the 8 different vitamin E compounds and are only half as active as the same amount of natural ά-tocopherol (4); although are just as easily absorbed (1). Most supplements provide ≥100 international units (IU) of vitamin E. Vitamins are usually measured in IUs as different forms of the vitamin will have different biological activity; and a standardized unit allows supplement labels to accurately display the degree of “active” compound for the user. 1 IU is biologically equivalent to 0.67mg d- ά-tocopherol or 0.9mg of dl- ά-tocopherol. Studies examining the consumption of vitamins have shown that 11.3% of people take vitamin E supplements containing up to 400IU (5). Are You Deficient in Vitamin E? Historically national surveys find that most western diets provide less than the recommended levels of vitamin E (6,7). Realistically these estimations are likely not a true depiction of how much is consumed by the average healthy adult (1); however a predisposition toward reducing fat in weight loss diets may lead to insufficiencies in intake across populations whom are substituting with fat free foods (6). The reduction in fat consumed means a lesser amount of ά-tocopherol, however “insufficiency” in your diet does NOT mean deficiency is apparent. True vitamin E deficiency is quite rare in humans and is almost never caused by a sub-optimal intake (1). Instead vitamin E deficiency is more often a result of developmental or genetic predispositions; for example, in babies born very prematurely and of very low birth weight (<1.5kg). These infants may be prone to retina development issues, or a higher risk of infection (8). Other genetic causes include protein-energy malnutrition (where either there is a lack of sufficient protein or calories in the diet); abnormalities in/ deficiency of ά-tocopherol transfer protein (such as in Ataxia and Vitamin E deficiency [AVED] syndrome); or secondary to fat malabsorption syndromes (such as abetalipoproteinemia where the intestine is unable to absorb fats to hold vitamin E). In fact this latter group is one which has a much higher rate of deficiency than the standard population. These and other conditions, such as Crohn’s disease or cystic fibrosis patients, sometimes supplement with a water (rather than fat) soluble form of vitamin E to ensure its increase consumption (9). Despite the cause (for example, AVED or abetalipoproteinemia) the main symptoms of vitamin E deficiency lead to a presentation of peripheral neuropathy and neuromuscular related dysfunction (10). This is due to the degeneration of large nerve bodies when ά-tocopherol is absent. This nerve dysfunction can lead to myopathy (weakness secondary to reduced muscle innervation); ataxia (loss of movement control); loss of vision; and impaired immune response (10, 11, 12). However, as a physiotherapist I must advise that there are much more common reasons for these types of symptoms and one should not be too quick to self diagnose with a vitamin E deficiency! As I have already stated the predominant benefit from ensuring a sufficient intake of vitamin E is due to its anti-oxidant properties. 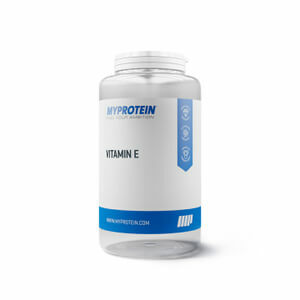 Vitamin E is the most potent, fat soluble of all vitamins, and as such protects polyunsaturated fatty acids in phospholipids and plasma lipoproteins. This provides the advantage of preventing damage to cell membranes. In fact, when a free (peroxyl) radical is let loose in a cell membrane it is 1000 times more likely to attack a vitamin E molecule, rather than the polyunsaturated acids in the cell (13). The vitamin E molecule acts as a chain-breaking antioxidant by reacting with the free peroxyl radical to form a lipid hydroperoxide and a tocopheroxyl radical. This secondary radical atom is then easier disposed of without causing further destruction. This cellular protection potentially can benefit disease states where chronic oxidative stress is a pathological factor. These may include heart disease, cancer, eye disorders and cognitive decline. For example, there is evidence that vitamin E can delay or prevent coronary heart disease. One method of which is through inhibition of oxidation of lipoprotein cholesterol, a key step in the development of atherosclerosis (1). Alternately, vitamin E supplementation can also prevent blood clots which may lead to heart attack or an embolism (14); and reduce the incidence of heart disease and mortality (15-17). The role of free radicals in causing cell damage has also been established in cancer (18). Vitamin E has been the topic of some very interesting research which shows it can assist by protecting against cancer by boosting immune function; and by blocking the formation of carcinogenic nitrosamines in the stomach (19). There are also studies which show reduced risk of the disease in men who smoke (20-21); and in women over the age of 65 (22). However, contradictory evidence is also apparent (23-24); which leads us to state that there is insufficient support currently for taking vitamin E to prevent cancer. Oxidative stress caused by free radicals also plays a part in age related macular degeneration (AMD) and cataract formation. Studies have shown a 20-25% lower risk of AMD for those who consume approximately 30IU/ day of vitamin E (26-28). However, other studies failed to support these results (29-30). The most common cause of vision loss are cataracts, and the relationship with vitamin E to this problem has also been examined. Generally positive results have been found which show lens clarity was better in those who took vitamin E supplements (31); and that lens degeneration was slower (32). Due to the abundance of polyunsaturated fatty acids in the cell membranes of the nervous system (brain and nerves), it is suggested that this system is at risk of cumulative damage from free radicals. It is thought that such damage may contribute to chronic neurodegenerative diseases (e.g. dementia, Alzheimer’s); but that supplementation with vitamin E may provide a degree of protection and delay functional deterioration (33). This is supported by a prospective study of elderly participants who showed less cognitive decline over three years when taking vitamin E (34). However, there are some contradictory studies (35-37) and further research is required in this area also (38). The question remains whether vitamin E intake can benefit athletes and gym goers, beyond the protection against disease and age related oxidative stress. In healthy individuals who exercise and perform sports, oxidative stress is actually a component to the overload during training we utilise to cause muscular adaptations and build bigger, stronger muscles. 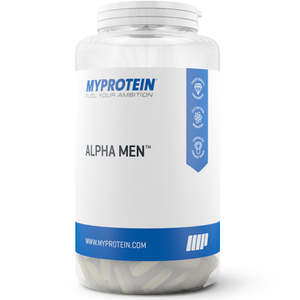 Muscular contraction itself is associated with reactive oxygen species (free radicals) (39), and whilst we aim to minimise these atoms through anti-oxidants, they also provide a benefit. A small amount of free radical molecules, such as nitric oxide or hydrogen peroxide, work as signalling molecules to activate the redox-sensitive signalling pathway (39). This can in turn lead to cellular adaptations, remodelling and growth in trained muscle. As such there have been concerns that consumption of anti-oxidant supplements could potentially blunt the effects of exercise training by modification of cellular signalling pathways. This topic was examined by a double blind randomised, placebo-controlled trial which examined the benefit of a four week supplement loading period of 400IU per day of vitamin E on cellular adaptations to training (40). Eleven healthy young men were given a 4 week period of supplementation or a placebo. At the end of this period they were ask to complete 10 x 4 minute cycles at 90% VO2 peak with 2 minutes active recovery. The researchers then took muscle samples from the quadriceps of the participants. They then followed this supplement and training regime 3 times per week for four weeks, before muscle biopsies were taken again. The results indicated that no measures of oxidative stress which may influence the adaptation to exercise were reduced by the supplementation. Another study (41) specifically examined the influence of vitamin E consumption on the redox signalling pathways previously mentioned. These authors conclude that anti-oxidants such as ά-tocopherol, despite having such properties, do not necessarily act as an anti-oxidant in all circumstances. They also theorise that exercise-induced redox signalling networks may have evolved insulated from the effect of nutritional anti-oxidants. What does this mean for the average athlete interested in consuming an anti-oxidant such as vitamin E? 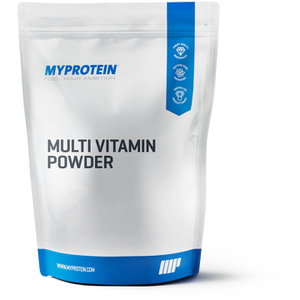 It means that a supplement such as this will not blunt the effect of exercise training, but will still act in a protective manner for your health. In addition, some groups will benefit more by this supplement. For example, studies demonstrate that for those training at 1525m altitude, aerobic work capacity increased by 8.9%, and at 4570m increased by 14.2%; in those given 1200IU of vitamin E for 6 weeks (42). These results were also supported by another study which showed increases in anaerobic threshold in high altitude mountain climbers given a 10 week course of 400mg per day of vitamin E (43). Interestingly, despite a great depth of research, it is also suggested that other groups, such as those overtraining, may benefit from the ergogenic effect of vitamin E. It may be that it can attenuate fatigue during performance (44); and that glucose tolerance, insulin action and lipoprotein status may all be improved (45). No discussion of vitamin E is complete without consideration of its benefits to the health of skin and aging. The skin has a larger amount of reactive oxygen species than any other organ, and in no area are the negative effects of oxidative stress to cause aging more apparent (46). The oxidative stress caused by free radicals has been deemed one of the key contributors to aging (47-48); and ά-tocopherol has an important photoprotective and anti-photoaging role in skin health (49). 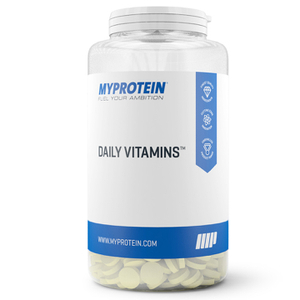 These benefits are due not only to the anti-oxidant behaviour of vitamin E but also by its ability to modify signalling pathways to counteract the effects of the suns rays (50-51). This can be through consumption of a supplement or via cutaneous application (52). The upper limit of supplement consumption has been designated at 1000 mg/ day as a safe dose in most individuals; a level which would be almost impossible to reach by just eating food (13). There have been studies which demonstrate a risk in all-cause mortality by consuming less than this dosage (400-569 IU per day) (53-54). The main side effects of ά-tocopherol supplements are haemorrhage and excessive bleeding (55-56) which may occur when the supplementary upper limit intake is consistently overconsumed. Vitamin E (ά-tocopherol) has a number of uses due to its powerful anti-oxidant effect. It can help protect against diseases and aging which are caused by reactive oxygen species damaging our cells; but seems to not influence similar mechanisms we will use to facilitate exercise adaptations. In some groups there is even an ergogenic effect, particularly for those training endurance at high altitude. Therefore you can be safe in the knowledge that vitamin E can protect your health; and not only will it not blunt your gains, but it may also boost your performance. 1. Institute of Medicine. 2000. Dietary Reference Intakes for Vitamin C, Vitamin E, Selenium, and Carotenoids. Washington, DC: The National Academies Press. https://doi.org/10.17226/9810. 2. Traber MG. (2007). Vitamin E regulatory mechanisms. Annu Rev Nutr;27:347-62. 3. Dietrich M, Traber MG, Jacques PF, Cross CE, Hu Y, Block G. (2006). Does γ-tocopherol play a role in the primary prevention of heart disease and cancer? A review. Am J Coll Nutr;25:292-9. 4. National Institutes of Health. (2016). Vitamin E: Fact sheet for health professionals. 5. Ford ES, Ajani UA, Mokdad AH. (2005). Brief communication: the prevalence of high intake of vitamin E from the use of supplements among U.S. adults. Ann Intern Med;143:116-20. 6. Gao X, Wilde PE, Lichtenstein AH, Bermudez OI, Tucker KL. (2006). The maximal amount of dietary á-tocopherol intake in U.S. adults (NHANES 2001-2002). J Nutr;136:1021-6. 7. Interagency Board for Nutrition Monitoring and Related Research. Third Report on Nutrition Monitoring in the United States. Washington, DC: U.S. Government Printing Office, 1995. 8. Brion LP, Bell EF, Raghuveer TS. (2003) Vitamin E supplementation for prevention of morbidity and mortality in preterm infants. Cochrane Database Syst Rev;4:CD003665. 9. Traber MG. Vitamin E. In: Shils ME, Shike M, Ross AC, Caballero B, Cousins R, eds. (2006). Modern Nutrition in Health and Disease. 10th ed. Baltimore, MD: Lippincott Williams & Wilkins;396-411. 10. Kowdley KV, Mason JB, Meydani SN, Cornwall S, Grand RJ. (1992). Vitamin E deficiency and impaired cellular immunity related to intestinal fat malabsorption. Gastroenterology;102:2139-42. 11. Tanyel MC, Mancano LD. (1997). Neurologic findings in vitamin E deficiency. Am Fam Physician;55:197-201. 12. Cavalier L, Ouahchi K, Kayden H, Donato S, Reutenaucer L, Mandel JL, et al. Ataxia with isolated vitamin E deficiency: heterogeneity of mutations and phenotypic variability in a large number of families. Am J Hum Genet 1998;62:301-10. 13. Traber, MG. (2013). Vitamin E: Metabolism and Requirements. Encyclopedia of Human Nutrition, 4, 383-389. 14. Glynn RJ, Ridker PM, Goldhaber SZ, Zee RY, Buring JE. (2007). Effects of random allocation to vitamin E supplementation on the occurrence of venous thromboembolism: report from the Women’s Health Study. Circulation;116:1497-1503. 15. Stampfer MJ, Hennekens CH, Manson JE, Colditz GA, Rosner B, Willett WC. (1993). Vitamin E consumption and the risk of coronary disease in women. N Engl J Med;328:1444-9. 16. Knekt P, Reunanen A, Jarvinen R, Seppanen R, Heliovaara M, Aromaa A. (1994). Antioxidant vitamin intake and coronary mortality in a longitudinal population study. Am J Epidemiol;139:1180-9. 17. Lee I-M, Cook NR, Gaziano JM, Gordon D, Ridker PM, Manson JE, et al. (2005). Vitamin E in the primary prevention of cardiovascular disease and cancer: the Women’s Health Study: a randomized controlled trial. JAMA;294:56-65. 19. Weitberg AB, Corvese D. (1997). Effect of vitamin E and beta-carotene on DNA strand breakage induced by tobacco-specific nitrosamines and stimulated human phagocytes. J Exp Clin Cancer Res;16:11-4. 20. Kirsh VA, Hayes RB, Mayne ST, Chatterjee N, Subar AF, Dixon LB, et al. (2006). Supplemental and dietary vitamin E, β-carotene, and vitamin C intakes and prostate cancer risk. J Natl Cancer Inst;98:245-54. 21. Heinonen OP, Albanes D, Virtamo J, Taylor PR, Huttunen JK, Hartman AM, Haapakoski J, Malila N, Rautalahti M, Ripatti S, Mäenpää H, Teerenhovi L, Koss L, Virolainen M, Edwards BK. (1998). Prostate cancer and supplementation with alpha-tocopherol and beta-carotene: incidence and mortality in a controlled trial. J Natl Cancer Inst;90(6):440-6. 22. Bostick RM, Potter JD, McKenzie DR, Sellers TA, Kushi LH, Steinmetz KA, et al. (1993). Reduced risk of colon cancer with high intakes of vitamin E: the Iowa Women’s Health Study. Cancer Res;15:4230-17. 23. National Cancer Institute. (2015). Questions and Answers: Selenium and Vitamin E Cancer Prevention Trial (SELECT). 24. Klein EA, Thompson Jr. IM, Tangen CM, Crowley JJ, Lucia MS, Goodman PJ, et al. (2011). Vitamin E and the risk of prostate cancer: the Selenium and Vitamin E Cancer Prevention Trial (SELECT). JAMA;306:1549-1556. 25. Chong EW-T, Wong TY, Kreis AJ, Simpson JA, Guymer RH. (2007). Dietary antioxidants and primary prevention of age-related macular degeneration: systematic review and meta-analysis. BMJ;335:755. 26. Evans J. (2007). Primary prevention of age related macular degeneration. BMJ;335:729. 27. Age-Related Eye Disease Study Research Group. (2001). A randomized, placebo-controlled, clinical trial of high-dose supplementation with vitamins C and E, beta carotene, and zinc for age-related macular degeneration and vision loss: AREDS report no. 8. Arch Ophthalmol; 119:1417-36. 28. The Age-Related Eye Disease Study 2 (AREDS2) Research Group. (2013). Lutein + zeaxanthin and omega-3 fatty acids for age-related macular degeneration: the Age-Related Eye Disease Study 2 (AREDS2) randomized clinical trial. JAMA;309:2005-15. 29. Taylor HR, Tikellis G, Robman LD, McCarty CA, McNeil JJ. (2002). Vitamin E supplementation and macular degeneration: randomized controlled trial. BMJ;325:11. 30. Teikari JM, Virtamo J, Rautalahti M, Palmgren J, Liesto K, Heinonen OP. (1997). Long-term supplementation with alpha-tocopherol and beta-carotene and age-related cataract. Acta Ophthalmol Scand;75:634-40. 31. Leske MC, Chylack LT Jr, He Q, Wu SY, Schoenfeld E, Friend J, et al. (1998). Antioxidant vitamins and nuclear opacities: the longitudinal study of cataract. Ophthalmology;105:831-6. 32. Jacques PF, Taylor A, Moeller S, Hankinson SE, Rogers G, Tung W, et al. (2005). Long-term nutrient intake and 5-year change in nuclear lens opacities. Arch Ophthalmol;123:517-26. 33. Sano M, Ernesto C, Thomas RG, Klauber MR, Schafer K, Grundman M, et al. (1997). A controlled trial of selegiline, alpha-tocopherol, or both as treatment for Alzheimer’s disease. N Engl J Med;336:1216-22. 34. Morris MC, Evand DA, Bienias JL, Tangney CC, Wilson RS. (2002). Vitamin E and cognitive decline in older persons. Arch Neurol;59:1125-32. 35. Kang JH, Cook N, Manson J, Buring J, Grodstein F. (2006). A randomized trial of vitamin E supplementation and cognitive function in women. Arch Intern Med;166:2462-8. 36. Petersen RC, Thomas RG, Grundman M, Bennett D, Doody R, Ferris S, et al. (2005). Vitamin E and donepezil for the treatment of mild cognitive impairment. N Engl J Med;352:2379-88. 37. Espeland MA. (2006). Preventing cognitive decline in usual aging. Arch Intern Med;166:2433-4. 38. Isaac MGEKN, Quinn R, Tabet N. (2008). Vitamin E for Alzheimer’s disease and mild cognitive impairment (review). Cochrane Database Syst Rev;(3):CD002854. 39. Ji, L.L., (2015). Redox signaling in skeletal muscle: role of aging and exercise. Advances in physiology education, 39(4), pp.352-359. 40. Morrison, D., Hughes, J., Della Gatta, P.A., Mason, S., Lamon, S., Russell, A.P. and Wadley, G.D. (2015). Vitamin C and E supplementation prevents some of the cellular adaptations to endurance-training in humans. Free Radical Biology and Medicine, 89, pp.852-862. 41. Cobley, J.N., McHardy, H., Morton, J.P., Nikolaidis, M.G. and Close, G.L. (2015). Influence of vitamin C and vitamin E on redox signaling: Implications for exercise adaptations. Free Radical Biology and Medicine, 84, pp.65-76. 42. Kobayashi Y. (1974). Effect of vitamin E on aerobic work performance in man during acute exposure to hypoxic hypoxia [dissertation]. Albuquerque (NM): University of New Mexico. 44. Takanami, Y., Iwane, H., Kawai, Y. and Shimomitsu, T., (2000). Vitamin E supplementation and endurance exercise. Sports Medicine, 29(2), pp.73-83. 45. Evans, W.J., (2000). Vitamin E, vitamin C, and exercise. The American journal of clinical nutrition, 72(2), pp.647s-652s. 46. Rinnerthaler, M., Bischof, J., Streubel, M.K., Trost, A. and Richter, K., (2015). Oxidative stress in aging human skin. Biomolecules, 5(2), pp.545-589. 47. Harman, D. (1956). Aging—A theory based on free-radical and radiation-chemistry. J. Gerontol; 11, 298–300. 48. Harman, D. (1972). The biologic clock: The mitochondria? J. Am. Geriatr. Soc., 20, 145–147. 49. Nachbar, F.; Korting, H.C. (1995). The role of vitamin-E in normal and damaged skin. J. Mol. Med; 73, 7–17. 50. Rhie, G.; Shin, M.H. ; Seo, J.Y. ; Choi, W.W.; Cho, K.H. ; Kim, K.H. ; Park, K.C. ; Eun, H.C.; Chung, J.H. (2001). Aging- and photoaging-dependent changes of enzymic and nonenzymic antioxidants in the epidermis and dermis of human skin in vivo. J. Investig. Dermatol;117, 1212–1217. 51. Engin, K.N. (2009). Alpha-tocopherol: Looking beyond an antioxidant. Mol. Vis; 15, 855–860. 53. Miller ER 3rd, Pastor-Barriuso R, Dalal D, Riemersma RA, Appel LJ, Guallar E. (2005). Meta-analysis: high-dosage vitamin E supplementation may increase all-cause mortality. Ann Intern Med;142:37-46. 54. Bjelakovic G, Nikolova D, Gluud LL, Simonetti RG, Gluud C. (2007). Mortality in randomized trials of antioxidant supplements for primary and secondary prevention: systematic review and meta-analysis. JAMA;297:842-57. 55. Alpha-Tocopherol, Beta Carotene Cancer Prevention Study Group. (1994). The effect of vitamin E and beta carotene on the incidence of lung cancer and other cancers in male smokers. N Engl J Med;330:1029-35. 56. Sesso HD, Buring JE, Christen WG, Kurth T, Belanger C, MacFadyen J, et al. (2008). Vitamins E and C in the prevention of cardiovascular disease in men: the Physicians’ Health Study II randomized controlled trial. JAMA;300:2123-33.